Scholarships & Internships – Indiana Constructors, Inc.
Transform your life with ICI scholarships and internship opportunities. 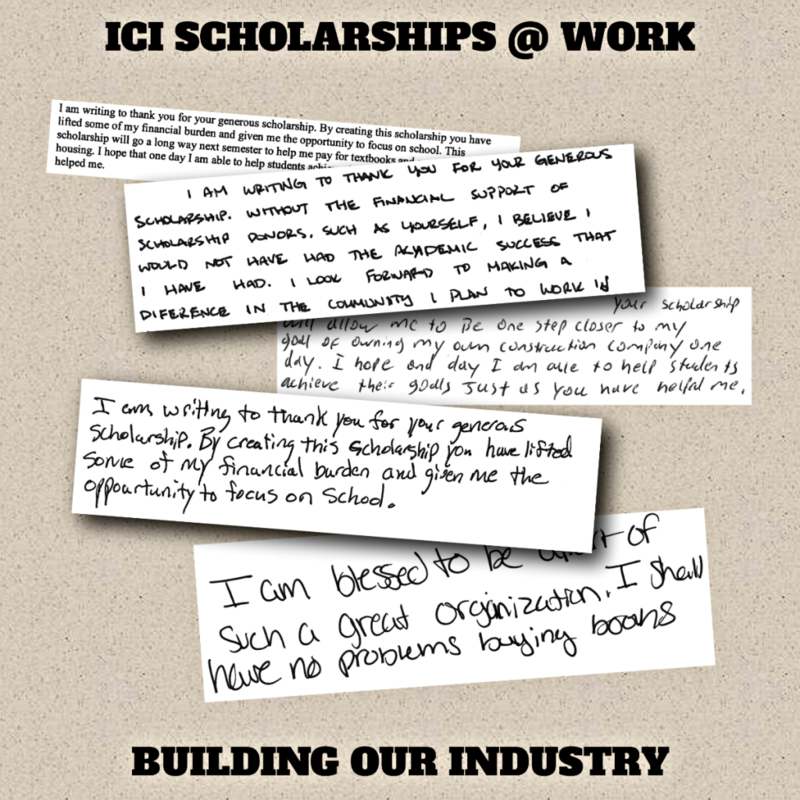 Thank you notes from 2016 ICI Scholarship recipients. Plan to pursue, or currently pursuing, a degree related to highway, bridge and/or the utility construction industry, and intend to pursue a career in the field. Financial need isn’t a consideration for ICI scholarships. The Central Indiana Community Foundation (CICF) manages our scholarships, and when you apply through CICF, you don’t need to include financial information. Indiana collegiate construction students should contact us to find out about industry internships. Internships work well for both contractors and students, creating helpful connections that can lead to long-term employment.